“Shoulda-coulda-woulda.” Man, did I mess up. Early in my entrepreneurial career, I wasn’t accustomed to taking advantage of golden opportunities when they were given to me. Learn from my mistakes. One day, I realized I was going to need an ethernet cord. You know, one of those pesky things that plugs into the back of your desktop computer and provides you with internet if you weren’t cool enough to have a wifi-card. I was cool, I just didn’t have a wifi-card, okay? Anyways, I realized I was going to need a pretty long one as my roommate had conveniently placed our router almost as far away from my desktop in our house as possible. So, I called up a local electrical store for a 50ft investment. Let me interject this for a moment. Local electrical stores are awesome. I bought an ethernet cord for about 70% less (if I remember correctly) than what Lowes, Home Depot or even Wal-mart would have charged me. Wal-mart actually doesn’t sell them that long obviously but if I bought all 10 ft ethernet cords, became an expert electrician overnight and was able to cut and connect them all…well you get my point.The fact is that your local electrician store is a magical emporium with goodies unimaginable. Give it a look-see. Anyways, the electrician priced me for a 50ft cord at a great price, so I told him to hold it for me. I head on over there and the electrician takes me to the rack with a ladder to grab it. He climbs up and says, “Uh oh”. I’m thinking he’s about to fall so I brace the ladder. After seemingly no impact, I look up and he tells me, “Apparently, I don’t have one. Since I told you I did, tell you what, I’ll just sell you the 100ft at the same price.” Bingo! As a Mackens, the scent of righteous savings overwhelms me. I’m about to sweep up a killer steal! But then I start to feel bad. If I were this guy, in this economy, I would hate taking a loss on something like that, especially right now. However, 100ft is longer than I need and I don’t want to pay more or go anywhere else, I’m already here and he did tell me he had it in stock. We stride on over to the register and I tell him, “Hey man, tell you what. How much did it cost you to bring that thing in? I’ll pay the cost that way you don’t have a loss.” I don’t know if the smile that came out of him was because I just dropped a super sick rhyme and he appreciates art when he sees it or because I was meeting him in the middle and saving his company money a good bit of change (I bet it was my rhyming skills, I can turn a phrase when called on). No matter the reason, he was very grateful. We idled in the store a bit, chit chatted and then I went on my way. I arrived at my house, plugged up my computer and proceeded to draw up what today is Tutelary Marketing. Great story, right? I had created a great situation where my true colors as a person had shown. I created a beautful moment where someone saw me for who I was and isn’t that what we’re always trying to do, if we’re honest people anyway? That was a perfect opportunity for me to hand him my card, talk a brief smidgeon about what I do and sear my company into his memory by branding. Another aside: branding is all too often associated with manipulation. People want to brand their company as something they’re really not and because of that, the branding fails. Customers will always be able to tell a fake after they’ve interacted with you and trust me, there’s nothing more a customer hates than a fake company. They will quit your product and then trample on it by telling anyone and everyone that will listen about you and do just about everything short of burning down your building. Sure, you may fool some people but they’re the minority. The majority will find you out and the majority will root you out. 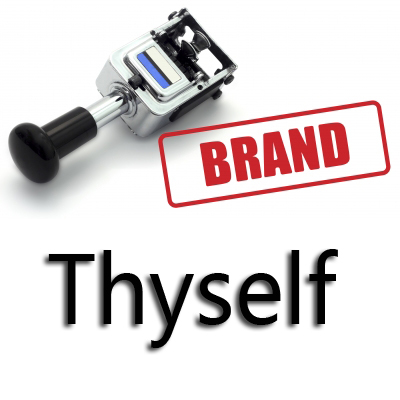 Become what you want to brand yourself as, then brand. Back to the story. That was a missed chance to really cement myself in this person’s mind as a quality company. Through my actions, I showed him my integrity as a person, my true self and therefore, should have associated those values with my company through branding. You may think that was just one opportunity Josh, don’t beat yourself up. You’re right. I shed a tear when I realized my mistake and then I moved on. No, really though, it’s not a huge deal but it’s a lesson you can learn from. Carry business cards with you always (a simple act we seem, to our detriment, to neglect) and when you have a positive experience with someone and show your true self and your character, do yourself and that person a favor and brand. It doesn’t need to be a targeted consumer either. Consumers talk, word of mouth (something I know you’ve never heard of), and it will move around. Always be looking for these opportunities, they’re everywhere. But don’t just start doing nice things to brand yourself (if you’re considering this, read the aside on branding again and digest it this time). As mentioned previously, you’ll be found out and will be in worse shape than before. Work on your charatcer, yourself as a person, and let that reflect in how you treat people and do business. Like I said, it will get around.